9/28/2009Share this story on Facebook! 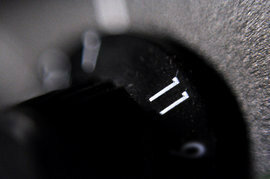 Our new blog "Eleven" keeps you updated on the live music scene in our beautiful Ithaca, New York. Introducing Eleven, the loudest blog on the block and your best place to find reviews and photos of all the great music happening in Ithaca. For you newcomer's out there, Ithaca is the home of an eclectic and vibrant music scene. From jazz to funk, hip hop to folk, or just some good ol' rock n' roll, there's a little something for everyone. Over the years, Ithaca has played host to national acts like Ra Ra Riot, The Hold Steady, Girl Talk, Dark Star Orchestra, Andrew Bird, and many more, all the while nurturing incredible local acts like The Rozatones, Mutron Warriors, Jsan and the Analogue Sons, Beat the Grid, and Caution Children. So keep you're eyes and ears locked to the loudest blog around to make sure you're not the one who missed out. Tune in, rock out, turn it up to 11.